According to a new report TSMC has just completed a $47 million US dollar deal to purchase additional engineering equipment and machinery. The new equipment should help the company bring upcoming manufacturing process technologies closer to market. The company expects to begin volume production of 16nm FinFET in late Q2, early Q3 of 2015. 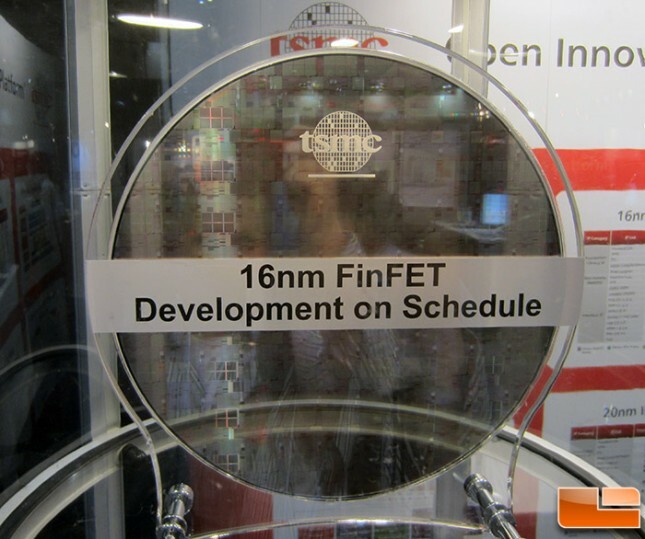 TSMC had originally scheduled 16nm FinFET mass production for Q1 2015. Mainly to satisfy Apple’s A9 chip demands. However TSMC fell short of meeting the original schedule and ended up moving volume 16nm production all the way to late Q2 early Q3. The company now seems to be targeting June/July of 2015 for 16nm FinFET. And a quarter or two later for 16nm FinFET+. This brings us to the topic of next generation graphics cards. Namely Nvidia’s “big daddy” Maxwell GM200 GPU. Which should go into the GTX 980 Ti/ Titan II or any other name Nvidia decides to give it. According to earlier reports this GPU was originally scheduled to debut on 28nm sometime this year with a 16nm shrink in 2015, a leak later reaffirmed by semiaccurate. Reports had us believe that the 28nm GM200 GPU would debut soon after GM204 but that didn’t happen. Nvidia’s plan for 16nm GPUs was pretty much the same plan for GM204. Which is to introduce the new products in the holiday season. The most profitable season typically in the semiconductor industry and many others. GM200 isn’t the only GPU Nvidia has planned for 16nm either. The company still wants to introduce a second revision of GM204 ( GTX 980 and GTX 970 ) in a 16nm flavor. As well as another smaller GM206 GPU which was originally rumored to debut alongside GM204. So we know of at least three Maxwell GPUs which Nvidia is working on. Unfortunately however the delays will put a sizable dent of roughly 3-6 months of delay into Nvidia’s 16nm plans. And the plans of any other company which has 16nm products in the works. Making these TSMC 16nm FinFET delays all the more adverse. It typically takes anywhere from four months to a year for a product to make it from mass production to market availability. This leaves a very tight 2-3 month window for 16nm graphics cards to show up in late 2015. But even then it’s unlikely that we’ll see large chips due to the typically less favorable yields at the early life-span of any new process node. This is not unprecedented as Nvidia suffered through serious 28nm yield issues in 2012. Which resulted in the company delaying its entire 28nm GPU lineup. And releasing its first 28nm GPU, the GK104 in the GTX 680, three months after AMD had released Tahiti in the HD 7970 and 7950. Which is why we didn’t see Nvidia’s GK110 “big Kepler” GPU show up in a consumer level product until more than 5 quarters after 28nm went into volume production. That is if you count the one thousand dollar GTX Titan as a consumer product. 28nm went into mass production in October of 2011, the GTX Titan was released in February of 2013. It took Nvidia nearly two years after TSMC began 28nm volume production to introduce its large chip in a reasonably priced consumer product for the first time. Which was in the form of the GTX 780 in June of last year. GM200 is Nvidia’s large Maxwell GPU. 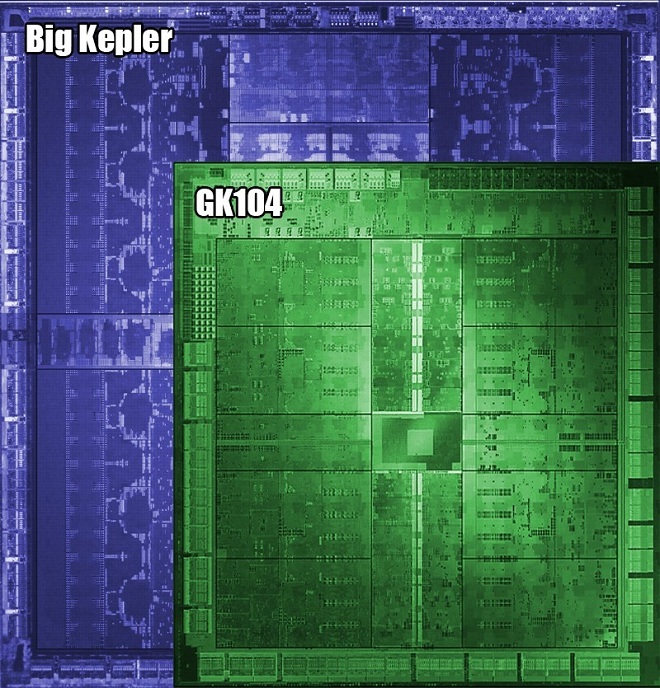 Similar to how GK110 was Nvidia’s large Kepler GPU. And GF100 was that same class of chip for Fermi. These have historically been massive 500mm²+ chips. The sort of chips that you don’t want to necessarily put into production on a new node with dicey yields. According to TSMC, the 16nm process should account for 7-9% of total revenue in Q4 2015 for the company. Which means that if any 16nm products make it to market in late 2015 they’ll be very limited in quantity. According to Semiaccurate the first 16nm GPU from Nvidia will be a die shrink of GM204 (GTX 980 and GTX 970) rather than a new GM200 GPU. Which makes the possibility of a GM200 based product arriving in 2015 even more far fetched. It’s not all bad news however, although Nvidia has allegedly decided to skip the 20nm node and go straight to 16nm instead. AMD on the other hand has confirmed that it had chip tape outs scheduled for TSMC’s 20nm node last year and said chips are on the way for 2015. With 16nm products planned for 2016 as well. In the case of AMD 16nm delays shouldn’t affect the company’s plans for next year. Since they already have 20nm products coming to address the market in 2015. While Nvidia really doesn’t have any intermediary products planned between 28nm and 16nm right now. Which should see the company either fighting it out with 28nm products against AMD’s 20nm chips or suffer through some horrific 16nm yields in order to stay competitive. Which isn’t entirely out of the question, since Nvidia did suffer through some terrible yields before. When the company introduced GF100 (GTX 480) for example back in 2010 to remain competitive.